Interviewing is nerve-racking, and applying for a job as a new grad RN is not easy. These are the top nurse interview questions and answers. These top nurse interview questions are from a recent poll asked of over 11,000 new grad nurses on a prominent social media site. The answers come from my extensive nurse hiring and interviewing background as a former nurse manager and career counseling expertise. Variation of interview question: What would you like us to know about you? What qualities do you bring to the table? What do you believe are the top three qualities a nurse should possess? Tell us what your current/former boss would say about you. Working in the ED is stressful, what do you do for fun? What the interviewer is looking for: A good fit with the requisite skills and attributes. Are you able to answer the question concisely? How to answer: Be articulate, purposeful, and concise by being prepared. Be ready with three qualities about yourself you want to convey. Direct quotes work well. “Jim, my former boss, says I’m reliable and his top performer“. Do not ramble, and do rehearse this answer thoroughly. Be sparse with personal detail, focus on attributes and skills you bring to the team. Read Tell us About Yourself to learn the Present/Past/Future Model answer technique to this question. Variations of interview question: Why did you go in to nursing? What the employer is looking for: Motivation and personal values as an indicator of what drives you. Your answer: Healthcare employers prefer to hire nurses who are motivated by intangible ideals, not concrete realities such as money. Even if a good salary is one of your primary motivations, do not mention money as a reason. Tell your story, whether it was because you helped care for a relative, or had an experience with healthcare yourself. When you are genuine, it resonates. Variations of interview question: Why do you want to work ED, ICU (fill in the blank). What the employer is looking for: To see if you’re a good fit and understand the culture. That your goals align with their goals. How to answer: Your reasons for wanting to work at this place of employment should be positive and show that you have an understanding of the unique culture. It’s also an opportunity to draw the connection between your career goals and how they can be achieved at this particular facility. “Your hospital has been growing its oncology service line, and my ultimate goal and passion is to work with the top oncology program in our area.” Read Am I Cut Out to be an ED Nurse? Variations of interview question: Tell us a time when you made an error. What the employer is looking for: You made it right. You self-reported. Your primary concern was for the patient or customer, and not yourself. You learned from your mistake and moved forward. You take accountability and don’t blame. How to answer: Don’t be worried if they use the word “critical”. Maybe you haven’t made a bona fide “critical” mistake. You can instead tell about a time you had a “near-miss” but prevented an error by asking someone to double check you, or by listening to your inner voice. Be sure and have your example ready and include the event, what steps you took, and what you learned. Frame it as a learning experience you are grateful to have had. The interviewer is basically looking for clues that reveal your interpersonal skills and work ethic. When put on the spot, remember that even the most prepared applicant can freeze or draw a blank during an interview. Take a deep breath, and read What to do if you Freeze During Your Interview for a smooth recovery. Variations of interview question: What’s your greatest strength? What’s your greatest weakness? What the employer is looking for: Insight, honesty. That your strengths match the strengths they are looking for (read the job posting description) and that you are taking actionable steps to work on your weaknesses. Be sure and read “What’s your Greatest Weakness?”, for what NOT to say. You will nail this interview question if you do, I promise. Written by me- for you!! 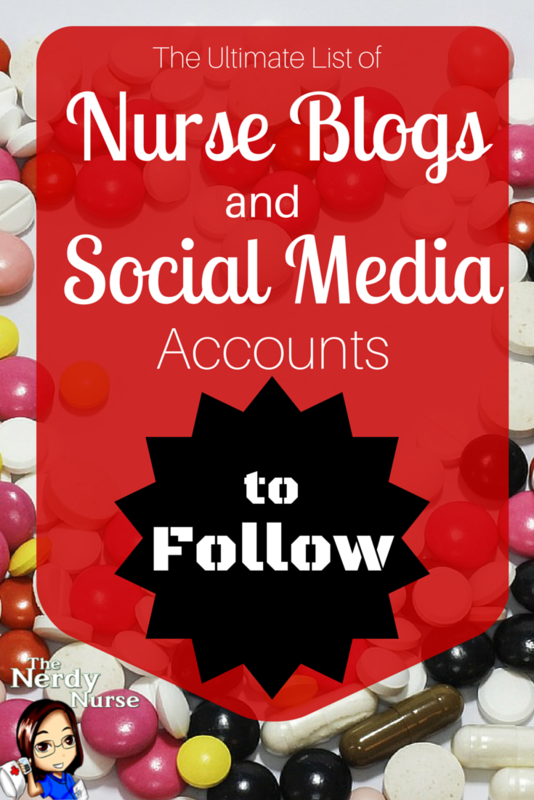 Click to buy the ultimate guide to land your nursing job! Variations of interview question: Describe a time when you disagreed with your boss. Tell me about a difficult patient and how you handled the situation Describe a conflict with a coworker, and how you resolved it. What the employer is looking for: Conflict resolution skills. Interpersonal skills. Team work. That you can interact well with others. How to answer: Have 3 examples ready, one of conflict with your boss, one with a co-worker, one with a customer/patient. Segue if needed (“While I haven’t had that particular experience, I have had….”). Then give them a similar example that shows your ability to communicate with others and come to a working agreement. They will go with it. Healthcare facilities prefer to hire people who work well with others, have good social skills, get along well with patients and visitors, and can pull together as a team for the sake of patient care. What the employer is looking for: Customer service is king right now as patient satisfaction is high on the radar in hospitals. Indicate that you understand the importance of patient satisfaction in the industry. Show how you will help them to achieve higher patient satisfaction scores. How to answer: Tell a compelling story. Give an example where you benefited a former employer through your customer service skills. Or think of a time in clinical when you went over and above on behalf of a patient, or family. Variations of interview question: You will be given a clinical scenario describing a patient is some form of distress. They are not trying to trip you up, or throw you a curve ball. What the employer is looking for: That you ask for help (no lone rangers), you provide basic nursing interventions (assessment, vital signs), that you are a safe practitioner, and that you anticipate interventions (labs, ekg). How you handle stress. That you don’t panic or freeze. They are not looking for clinical expertise if you are a new grad, and not looking for a diagnosis or in depth understanding of labs or diagnostic test. How to answer: Be sure and read How to Answer Clinical Scenario Interview Questions for specific examples of a clinical based interview question, and more on how precisely to respond. Variations of interview question: Why should we hire you over all the other applicants? What the employer is looking for: That you can articulate what makes you stand out, your confidence level, that you understand that you are here to help them meet their challenges. How to answer: This is usually your last chance to sell yourself to the interviewer. Reaffirm that you are a team player, and tell them why you are the best candidate for the position. Have 3 reasons ready for your answer “You should hire me because…” and give them your 3 reasons. Read Why Should we Hire You? for one thing you should never say. Variations of interview question: What questions do you have? Is there anything we can answer for you? What the employer is looking for: Assertive (not passive), inquisitive (not dull), savvy (prepared applicant). How to answer: Ask the interviewer a question or two, perhaps something that pertains to length of orientation, or educational opportunities. You will appear uninterested if you have no questions. Do not ask about salary, vacations, time you have planned to take off for your relative’s wedding.